Fang and Fur, Blood and Bone: A Primal Guide to Animal Magic is my first published book–but certainly not my last! It was the result of nearly a decade of intense study and practice of animal magics of all sorts. 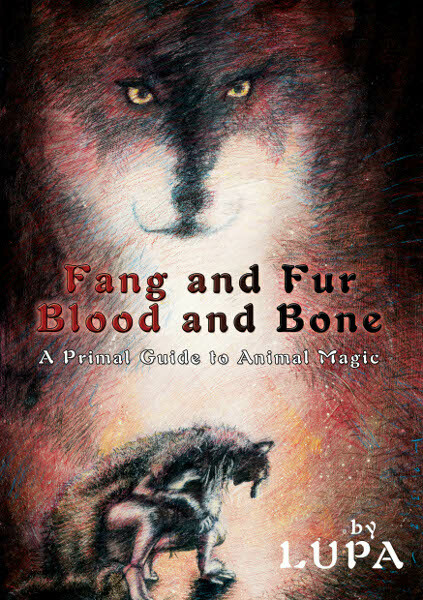 An autographed copy of Fang and Fur, Blood and Bone: A Primal Guide to Animal Magic is available for $21.99 plus priority shipping in the U.S.
An autographed copy of Fang and Fur, Blood and Bone: A Primal Guide to Animal Magic is available for $21.99 plus media shipping in the U.S.